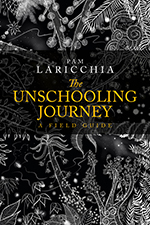 This month I’m going to delve into some of the lifestyle questions that come up pretty regularly as people learn about unschooling. They are also the ideas that can trip up those newer to unschooling because they are like advanced topics: the journey of unschooling into a lifestyle is more about how, after having seen how wonderfully unschooling supports your children’s more academic learning, you begin to appreciate and pursue the idea of extending that same approach to learning life skills: managing their environment, sleep, food, relationships, money, work etc. 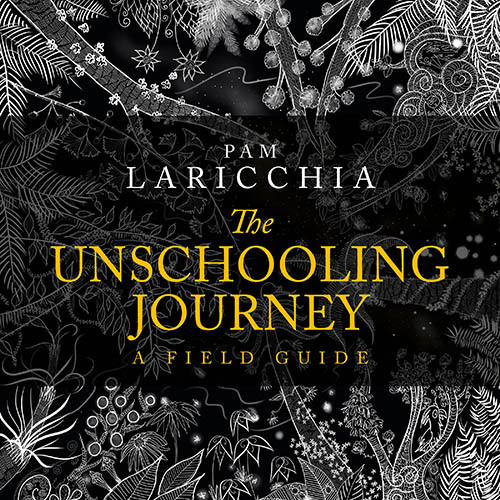 But if you’re newer to unschooling, that doesn’t mean skip this month’s posts! I just want to give you a heads up that these ideas might not make much sense right now, or may seem rather overwhelming. If that’s the case, no worries, just let them pass on by. Maybe say “hmm” to yourself. And then make a note to come back and read them again in, say, three months, or six. You may find they make a lot more sense then. One of the basic pieces of this lifestyle puzzle surrounds the more conventional parenting attitude of “us versus them”, of adults expecting their children to believe their parents know best and do what they’re told. With unschooling, we are choosing to not mold our children into our image of a perfect child, but to help them explore and learn about themselves. For that to unfold more smoothly, it helps to imagine yourself as helping them do their work, rather than directing it; to think of everyone as a full member of the family. That’s a good start, but I’ve also seen that used as a reason to insist children do chores: “You’re a member of this family and this is our house, so you need to do your part to keep it up.” In my experience, the big issue with this stance is that it’s the parent’s standard being used, not the child’s, so the child is understandably resistant. Let’s dig into that a bit more. As parents, what’s our goal with the whole chore thing? Getting help to meet our living standard? It’s a fair question. Sometimes we do need help. But probably not as often as we think. I think far more often we convince ourselves that we’re asking our children to help us with the goal of teaching them life skills. 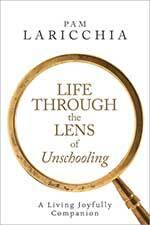 But from what we already know about learning through unschooling, is teaching a good way to encourage learning? And then I thought some more. Would me doing the bulk of the upkeep in our home be “spoiling” them? Letting them “get away” with something? Shouldn’t they be “taking responsibility” for our home? As I mulled that over, I eventually came to disagree. In fact, it dawned on me that choosing to do the work myself to meet my own standard of living is a good example for them of taking responsibility. Huh? Not making them do chores is an example of responsibility? How? Because they know it’s my benchmarks of cleanliness that I’m looking to meet, not theirs. (If it was theirs, they’d be asking me to clean the bathroom. 😉 ) By doing the work myself I’m taking responsibility for fulfilling my own needs. But don’t do it in a vacuum! Appreciate your accomplishments: “Yay! I can see the kitchen table!” Share your intentions: “This weekend I want to tidy the great room.” Let them see the process in action—that’s how they learn. What this perspective also did was release any expectations I had of others. It was surprisingly freeing! And it better fit with my long-term vision: to support my children as they explore their standards and discover the environment in which they feel most comfortable day-to-day. Real learning about themselves that will benefit them throughout their lifetime. And without expectations, when I do ask for their help, they can truly choose to help me. Conversely, if they feel I’m expecting their help, saying yes would also mean worrying that it could be used against them in the future (“but you vacuumed last week”). If that’s the case, it’s more likely they’ll say no, even if they have the time and inclination. Without expectations, each moment is its own and everyone has a real choice. As parents we can support our own standards in our home without imposing them on everyone else. Remember, we’re looking at all the members of our family as unique individuals of differing ages. Not only will adults and children likely have different barometers for judging their environment, the adults themselves will probably have different needs too. Maybe you like it reasonably tidy, and your partner likes it completely clutter-free. Or vice versa. Maybe your kids are indifferent. So if tidiness is an issue you and your partner are struggling with, first nail down exactly what’s bothering each of you. That’ll help you not only better explain your needs to each other, but also help you narrow in on possible solutions. Let’s say you start with the general issue, maybe something along the lines of, “I’d like to keep the house clean.” From there you can ask yourself things like, is it really the whole house? Or mostly the family room where you spend most of your time? Or the kitchen? Or the bathrooms? Or the basement? Sure, it’d be nice if house elves kept them all tidy, but which room(s) is it that actually triggers your frustration? Is it mostly the tidiness that bothers you, like clutter? Or is it cleanliness, like dirty walls or dirty dishes? Why does it bother you? Does it trigger your mom’s voice in your head making you feel bad? What is actually “bad” about it? Or does the clutter truly make it hard for you to concentrate? Once you’ve really nailed what is triggering your general “must keep the house clean” response, then you can dig into that. If it’s the stuff all over the place in the family room, what is that stuff specifically? Maybe all the stuff shows you that your kids are busily and happily playing and exploring: they are learning. Can you walk into the room and see the learning instead of the mess? If the main play room is the first thing you see when you walk into the house and it knocks you off your game immediately, can you maybe move the main play area somewhere else? A more out-of-the-way and rarely used dining room? The basement? Can you think of a way to make your children an awesome play space that will also keep the messes less conspicuous? Can the current play space be reorganized so that it’s much easier for you to quickly tidy up? A wall of shelving or a set of plastic bins that makes tidying up easier, and maybe a bit more enjoyable. And don’t forget to look at things from your children’s perspectives too: would they be okay with you tidying up their stuff? Maybe what you see as messes is really a wonderful work-in-progress in their imagination and your “tidying” is more like “destroying” in their eyes (which would interfere with their learning). Ask them. Play with them and see how and when the messes grow. More information for you. If they are okay with your tidying up and you do so, are they excited to see a clean play space, a fresh canvas? They are learning about their environment. And you have given them a beautiful gift in that moment. When you understand more about their needs surrounding play and works-in-progress and a fresh play space, and your real needs for some semblance of tidy in some area(s), it’s a great time to ask everyone for help—work together as a family to brainstorm ideas and figure out a path forward that works for everyone without resorting to control through assigned chores. In my experience, when I’m tempted to reach for control or coercion as a tool (the conventional go-to answer), it usually means that I haven’t taken the time to understand the other person’s point-of-view (because if I had, I’d understand why they didn’t want to do it in the first place) or I am trying to get them to take care of my needs (it’s something I want, but I don’t want to do the work myself to get there). As you talk with your family here and there about your needs (the real ones, the ones that go deeper than “keep the house clean”, which to them would seem a vague and gargantuan task) remember, you’re not trying to come up with expectations that you’ll hold them to. Show, don’t tell. If you guys decide to add shelving and bins to make tidying up easier, you’ve made it easier for those who want to tidy up to do so. Maybe that’s just you and your partner right now. And a tip: don’t be grumpy about it! Who would want to join in, or initiate, an activity that makes people grumpy and/or that others seem to avoid as long as possible? “There are a lot of toys on the floor and I’m finding it distracting. Are you guys finished playing with these stuffed animals over here? Is it okay if I put them back in their box?” Lead by example: let them see you taking care of your needs. With that perspective and attitude, they won’t develop a sense of entitlement, an expectation that you’ll do everything for them, because they’ll know you’re not doing it for them, you’re doing it for you. And sometime, maybe later when it’s no longer a charged issue, you’ll enjoy surprising them with a clean slate. Or they may excitedly ask you to do it, or to help them. They’ll see you as choosing to do it, not as you fulfilling an expectation of theirs. You’re helping them discover the joy of a tidy space. Which, if they do find it enjoyable, will naturally motivate them at some point to do it for themselves, to meet their own needs. Real learning. Incredibly helpful! Thanks for walking through all of those questions to ask oneself! We’ve been unschooling for a while, but I’m recently feeling overwhelmed and wondering if I should start a chore chart. This is very helpful, though! What a great post. I especially enjoyed the way you explain ‘leading by example’. Thank you! Your line of reasoning is severely lacking. By suggesting that a clean house is simply the PREFERENCE of the one person and we should not impose that preference on our children is really, really missing the big picture. Having a clean home is not a preference, it is a sanitation issue, and sanitation is a matter of health. Do you call health choices, such as taking medicine and showering, a “preference” as well, and let your children decide whether they “prefer” to brush their teeth once a day or once a year, or whether they “prefer” to get stitches in that large gash in their arm? Of course not, so why would you denote something as important as keeping a sanitary environment to a “preference” that your children can choose to hold or not? This line of reasoning makes NO sense, because YOU are in fact already doing all of the work, so even if they DID prefer a clean environment, why would they ever be inclined to participate in keeping the environment clean when you are already doing all of the work for them? My goodness, if I had someone living with me who did all the dishes, cleaned all the bathrooms, vacuumed all the floors, and even went as far as to clean up my belongings after me, you can bet that I would not be volunteering to do those things. Why would I do them when they are already being done for me? So therefore, your logic of “I’ll just be cheerful and describe what I’m doing and hope that my children catch on” makes no sense. After all, as an unschooler you should know that children are incredibly smart and quick learners. Yet any idiot could figure out that there is no reason to volunteer to scrub the toilet when someone else is going to do it. One of the key points of unschooling is that childhood is not preparation for life, it IS life, but how on earth does this absurd view of chores contribute to a realistic view of what life is? Do you really think that after 18 years of being waited on hand and foot, your child will get their own apartment and with a 5-minute lesson in toilet cleaning, a 10-minute lesson in doing dishes, and a 20-minute lesson in doing laundry that they will be good to go and be responsible adults who can manage their belongings and life? Growing up, I “knew” very well how to cook, do laundry, clean a bathroom, vacuum a room, dust, and so on. 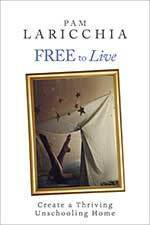 I was taught all of these things well from early on, BUT I was never made to do these things consistently, especially in my later childhood and teen years, because of troubles going on at home, my parents were frequently absent, and we did whatever we wanted (which was rarely cleaning. What person, and especially what child, WANTS to clean?). Cleaning wasn’t part of my daily life in childhood, it wasn’t a HABIT, a way of living, and even though I always envisioned myself and the wonderfully clean house I would have. When I finally had my own house, it turned out to be a huge wake up call learning just what it takes to run a household. I have learned it is not about skill or knowledge that makes running a household difficult, but about habit, mindset, discipline, and lifestyle, which can only be achieved through practice, practice, and more practice, until it becomes an afterthought and way of living. What a sad thing for a child to never experience what it actually means to LIVE, and instead grow up in this fake, contrived environment where they make messes but don’t clean them up, eat food but never get to understand what goes into shopping for it, preparing it, and cleaning up after it, dirty clothes and bathrooms and carpets and walls but never see the amount of daily, weekly, and monthly cleaning that it takes to undo the dirt made on a daily basis, play in a fresh kept yard every day but never understand the amount of work it takes to keep the yard in good condition, and in general will reach adulthood not having the slightest clue what it really takes to manage their own household and take care of themselves and their belongings. Like I said, it’s not about “knowing” or possessing the skills, it is about DOING and living these things. It is about experience and habit. 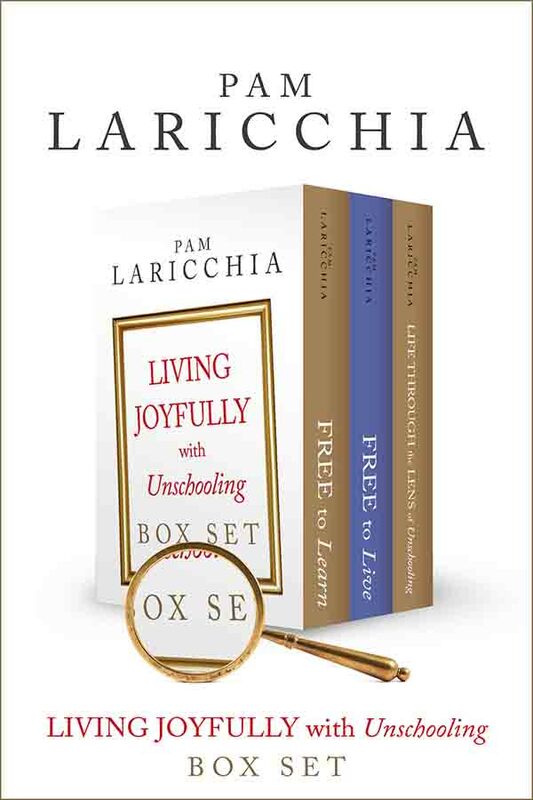 I’m sorry it didn’t make sense to you, and that it gave you the impression that just because my children aren’t expected to do chores they are somehow a step removed from life–far from it, they are living in the midst of it all every day. And though I wrote from one person’s perspective as an example, I tried to emphasize that everyone has their own preferences and needs, and that we work together to support everyone. As I mentioned, lifestyle questions are typically a more advanced topic because when 99% of a person’s experiences are with conventional kids and parents, it really can be hard to imagine children/teens choosing to help out around the house just because they see something needs doing and they have a moment to do it. Often people don’t believe it would ever happen because that is not how conventional, power-based, parent-child relationships work: as with your experience as a teen, you avoided housework when you weren’t forced to do it. But the environment you grew up in, with troubles at home and absent parents, is not at all comparable to a thriving unschooling environment. With our strong and connected relationships with our children it’s an entirely different experience for everyone. My kids (right now ages 21, 19, and 16), well the ones at home, do help out with stuff around the house, even though they don’t “have to”. It’s all part of our daily lives. Sometimes I ask for their help, sometimes they notice stuff that could use doing. They load and unload the dishwasher, vacuum, dust, tidy up, take out the compost, bake, mow the lawn and so on–they are very helpful people. They do things around the house for real reasons (like for sanitary reasons), just as I do: they see the reasons, not the chore list. They take care of themselves and their belongings. My daughter moved out almost a year ago and she is doing just fine taking care of herself and her apartment. These lifestyle ideas, in my experience, are a bit easier for people to understand once they’ve been unschooling for a while. At that point, they have let go of coercion/curriculum for the more academic-type learning and have spent time observing how their children still learn an incredible of amount, even when they aren’t “forced” to. Some parents, once they really understand how that works, choose to try that same supportive environment for learning about life skills. The other point you might want to consider is that your choice to approach home maintenance from a strict habit perspective is not the only way to go. The idea that home maintenance must be trained over many years by coercion has not been borne out by my experience, nor that of many others, for some of the reasons I talked about above. And this way of living together does not take a toll on our relationships: we live together, happily help each other out, and take responsibility for our own individual needs. I think it’s important to recognize that different ways work for different families; this is no one solution that is ‘right’. Pam’s article is great – and I see the point that this respondent is making too. For us, a middle ground has worked. 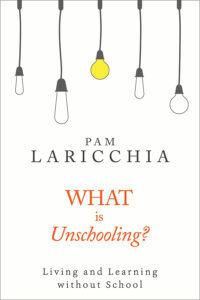 We haven’t been unschooling as long as Pam, but we have for almost a decade. I’m not a ‘noobie’. But for us, the ‘me just do it all joyfully and the kids will join in method’ didn’t wind up working in the long run and ‘for us’ it wasn’t right. I’ve got a family of five around here, youngest being 14 months. And if I’m spending my days cleaning up after absolutely everyone and doing all the cooking and cleaning by myself, we don’t have the time to do all the cool things and activities we want to during a day. Also, I don’t feel happy cleaning up everyone else’s messes all the time. I don’t believe that is my job or should be. At least not for the big kids. We live in a family where we are all equal. Truthfully, I don’t feel it’s ‘equal’ for me to do everything. It doesn’t lead to a happy household. Yes the kids help out sometimes on their own. But this did happen more when they were little (3-7 years). They’re great and wonderful kids. But if I’m happy doing it all, they truly are happy to let me lol. I have a friend who homeschools in a more schooly way. Her kids DO have expectations on them of cleaning up after themselves and helping out with a certain amount of the housework. They are some of the happiest kids and one of the happiest families I know. But their parents are strict (and kind). We have lots of debates because our lifestyles are so different. But I so appreciate the friendship because I see how it truly works for them (they have curriculums too and the kids adore it). So I really think its about finding our own way and there isn’t a ‘right’ answer. It’s awesome those RU advocates who are happy to do it all and feel that to be their job and their kids always rise to the occasion. But that isn’t everyone. Not should anyone made to feel bad because that isn’t ‘their’ truth. Those are great points, Lola, thanks for adding them to the discussion! There were definitely times when I brought that point up for discussion with my kids. We talked about the different standards we had for overall cleanliness, about the cool activities and how keen we were to do them, about ways they could help out so the cleaning up took less time (from helping clean to helping things get less messy in the first place) etc. That’s the great thing about getting beyond the power struggles around chores: we can talk about this stuff pretty freely. We learn more about each others’ needs and wishes surrounding our home environment and then brainstorm ways to meet them. It also meant I felt comfortable asking for their help, and understood if they said sorry, no, they were busy with something else at the moment. And we could talk about that too. I had to think about that for a moment. I don’t really think of us as all “equal”. I’m an adult; they’re kids. I have more life experience, and, at least when they were younger, a greater capacity for empathy and understanding. I also have more of a wish for tidiness than my kids. But I also remember as a kid not being bothered much by “messes”, so I figured that those needs change over time as we get older. I noticed if I was too insistent about tidiness, it dampened their enthusiasm for play. And I wanted to encourage their play! So much learning, and plain old fun, was found there. Over the years I discovered I was pretty happy to take responsibility for the home that I owned and the environment I was trying to nurture, knowing that my kids had many years ahead of them as adults to do the same in their homes. But I was also pretty careful to watch my own feelings around it all. Whenever I started feeling martyrly or put-upon, that was a clue that it was time for me to do some more thinking–to dig into the cause, to talk with my husband and kids–and work through it before it began to affect my relationships with my family. Fortunately I’ve been using the unschooling approach since my eldest son was a toddler, so I’ve been able to watch how it unfolds for a while. He is now nearly six, and while he leaves toys around still, he also contributes quite a bit. I never ask him to, but he’s taken it upon himself to frequently fold and put away his and his brothers clean laundry. If he’s not busy he’ll set the table without being asked. Several times when I’ve been busy he’s washed the dishes (not perfectly, but the intent was there), cleaned the house, or made the beds… all of his own volition. He does these things for the gratification of having helped. And he does more all of the time. So I can say, that without a doubt, at least in our case, this approach is working. I have a joyful little helper. He thanks me when I clean the house, and is happy to do his part when he sees the need. Great post! My children are quite a bit younger (3, 6, and 10), but I can speak to the issue of whether children would ever ‘choose’ to help out if not coerced or told to do so. I do not require that my children help out with chores. They sometimes volunteer to help if they see me doing something, and I sometimes ask for their help. They can say yes or no, but they don’t ‘just’ say ‘no’ as a matter of course. My 3 year-old loves to help pick up the living room and harvest food from the gardens. My 6 year-old loves to chop fruits and veggies and mix up and spray homemade cleaners and dust shelves. My 10 year old loves to cook and keeps the room that she shares with her younger sister tidy and organized because she likes it that way. I don’t enjoy doing dishes, but I like sweeping and vacuuming and tidying. My husband does most of the dishes. What if that person were your partner that you loved? Surely, you’d want to help some of the time . . . If chores are seen as a forced, unpleasant task, than yes, most people wouldn’t want to volunteer, but it doesn’t have to be that way. My house is sometime joyfully messy with projects and toys and uninterrupted flow, but I don’t let it cross over into ‘unsanitary’. There is a wide range. Also, I know loads of people who were forced to ‘develop habits’ as children that didn’t cross over into their adult lives. There is no guarantee they’ll keep it up without a chore chart hanging up in their parents’ home. They can relearn what is important to them and how to maintain it. 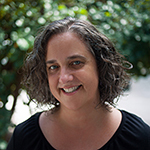 Children living in a non-coercive environment with connected parents are going to behave differently than how people often expect children to behave. Doing chores together can be surprisingly joyful! This comment is getting long, but thank you, Pam, for another great post! Thanks for sharing your experience, Nikole! Thanks so much for posting this! I gave my mom your ‘Free to Learn’ and ‘Free to Live’ books and she raised some objections that you answered here 🙂 Perfect timing!! She enjoyed this post and the comment discussions. 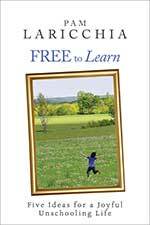 Just wanted to say thank you–we have been unschooling and are now trying to bring it into more that just our families education (trying to unschool our parenting)–this has been very helpful. I will be 60 this month, and to this day I absolutely hate doing those things. The day I left for college, I quit making my bed permanently! I am unschooling my 11-year-old adopted daughter who has emotional special needs out the wazoo. She is a natural at unschooling and does very little in the way of housework. BUT when she does volunteer to do something, she does it happily with a smile and usually tries to do it as a surprise for me. I truly believe that as she gets older and resolves more of her emotional issues, she will see that she can do more around the house AND (this is important) she will enjoy doing it, instead of hating it, like I do. One more thing… the parenting paradigm that I am using to raise my daughter is designed for children with trauma histories and dovetails nicely with attachment parenting. It teaches parents that children are often overwhelmed when they are assigned a chore because they just don’t know where to start, so they just freeze and don’t do anything. If we do the job for them or with them, eventually they get the hang of it and will ask to do it by themselves, because they want to. Thanks for sharing your experience, Donna, and I think that’s a great point! Creating an environment where we insist our children do things on our timetable, where we take away their choice, often means they develop a distaste for them and begin to actively avoid them. You have such a non-threatening and compassionate way of expressing potentially touchy topics. Thank you for the powerful good you’re doing! I once felt exactly as Liza described. I still do, on occasion, when I’m feeling distanced and overwhelmed. My kids are very young (18 months and 5 years), but my son has a preference for tidiness as well as for me to do the tidying. 🙂 I waver between being horrified that he’s growing up to be an entitled snot and understanding that, hey, I don’t really want to clean up my messes, either. I like the end result but not so much working toward it (there’s a lot of baggage there). We usually end up working together and EVERY TIME I get an excited and deeply sincere “Thank you!” from my son. After reading this, I think we may just be on a good track. Thanks for the kind words, and for sharing your experience, Kate! I am a little confused by some of the comments….sanitation, there is a huge difference between what is actually clean and sanitary and what the chemical companies in the US would like you to think is sanitary. Do not fear dirt, germs, bacteria~fear a too clean home where children’s immune systems do not have a chance to work and develop. Another thing, I had a friend years ago who grew up in Southern Uganda in a grass and dung hut with a dirt floor, would this be considered sanitary? She was never sick until she went to college in the US!! 🙂 You know we have been unschooling for sixteen years and we have five kids. I struggled with the whole chore thing for the first several years but then I realized that I was a no fun grump when I was expecting everyone to keep the house my version of clean. My main areas are bathroom, my room and kitchen. The kids love, love, love cleaning the bathroom especially the toilet, I don’t know why but they do an excellent job, but they never clean the base or the floor around it so I do that. I am usually too exhausted at night to do much cleaning in the kitchen but I get up earlier than most of the family and I love washing dishes and tidying up the kitchen while the sun rises over the ocean out my window (we live in a 100 year old sugar plantation house, in hawaii, absolute hovel but it has a nice view of the ocean), every night before bed I clean my room and do a little laundry. Husband does most of the laundry and a lot of the cooking and takes care of the trash, recycle and sweeping. Everyone has things that they would rather do than others. We have learned to work within that instead of against it. Hopefully, when the kids are older they will live with people who are compatible as well or they will learn to barter to get their needs met. We live in a small home without a lot of stuff. It works for us. We have five kids 16, 14, 11, 8 & 5 our 14 & 8 year olds have asperger’s and there are some things that they just can not do, so I never even ask them to do those things. But there are things they do not mind doing and I will ask them to do those things and they will either do them then or later or say they are busy but usually it just gets done. We live in a messy, fun house. Sometimes I can not stand the clutter and will ask the whole family to step into my tornado and just knock the clutter out. It is then we usually realize that we have too many cluttery things and we will each go through our things and get rid of what needs to go. But it all works. Thanks for this post. I was having trouble explaining some things to a few friends and you just worded it perfectly. Aloha. Thanks, Suzanne, I enjoyed reading about your family’s experience! I truly enjoyed this post, thank you. I think the “deschooling” process can be overwhelming especially when the co-parent is not completely on board. In these cases the main goal should be respectful parenting. In some homes, a compromise needs to be made during the deschooling process or even longer if the co-parent “needs this need met” of visual structure. In these cases I refer to a respectful parenting model as a compromise. 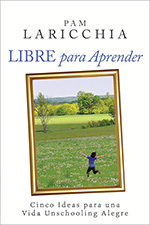 For example, “The Positive Disciple” book series. This series or model of parenting gives parents coming from a traditional parenting model tools to use instead of punishing. The one issue I have seen with new unschooling parents is what to do instead. The chaos of deschooling can break up families so replacing old tools with new ones is the key to many deschooling families success.